I know UBER are a very innovative company, driverless cars, air born taxis and UBER eats are all exciting projects but they were not a total surprise. However I must admit I didn't see this JV coming! 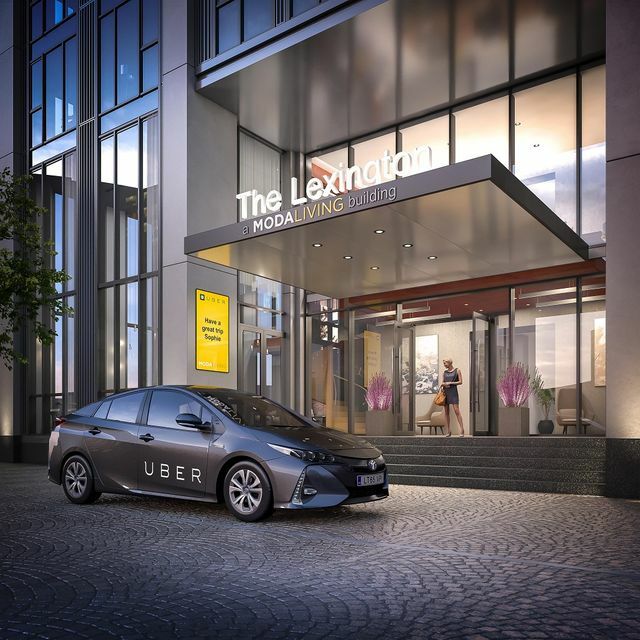 Uber and Moda Living, the build-to-rent developer, have announced a proptech tie-up to cut car ownership, offering tenants taxi credits as an incentive not to have a parking space in its buildings. Residents that don’t have cars will get £100 of Uber trips per month, using an app made bespoke for Moda. The prop-tech partnership is planned to be rolled out in cities across the world. By partnering with Uber, Moda Living said it is hoping to create more sustainable developments, building homes while reducing emissions. Moda’s first scheme, Angel Gardens in Manchester’s NOMA neighbourhood, is currently under construction and will house around 900 residents when it completes in 2019. My first thoughts are this JV fits well, one could say it's UBER exciting, apologies! What's next for them...! !